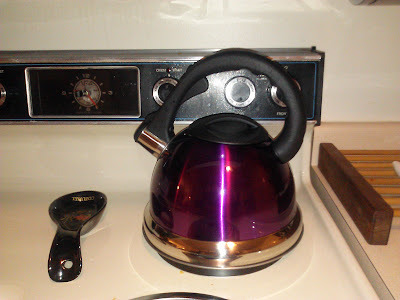 If you love tea like I do, then you need to have a good tea kettle to boil the water in! If you want a tea kettle that shows off your style and is safe to use, then check out this awesome Safe-T Whistling Tea Kettle from Primula! It is constructed out of quality stainless steel and holds up to 3 quarts of liquid. The large, comfortable stay-cool handle is angled away from the steam and features an easy trigger-release that opens the spout, and finger ridges that make for safe one-handed pouring. 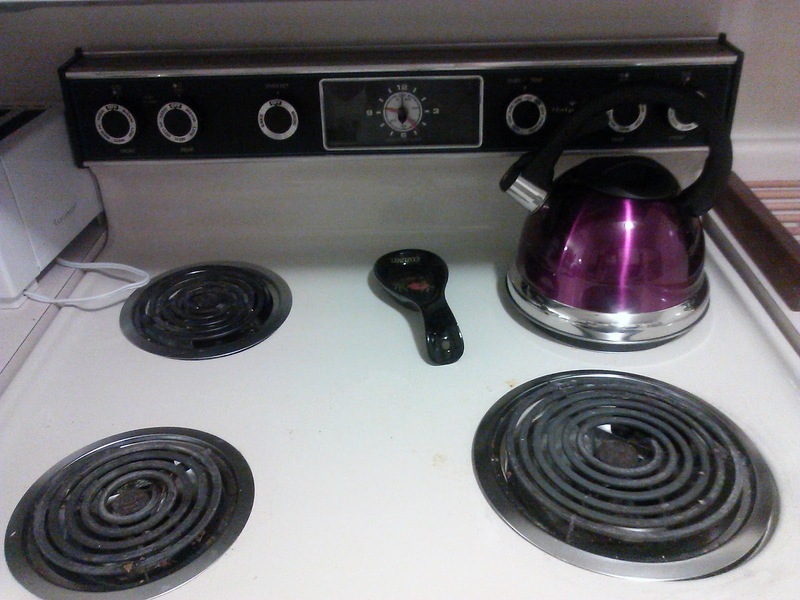 The oversized Safe-T base covers the flames from your stove, and the encapsulated bottom provides increased durability and allows for quick heating. This kettle has a whistling spout that notifies you when the water is boiling, and the wide mouthed lid removes for easy filling and cleaning. 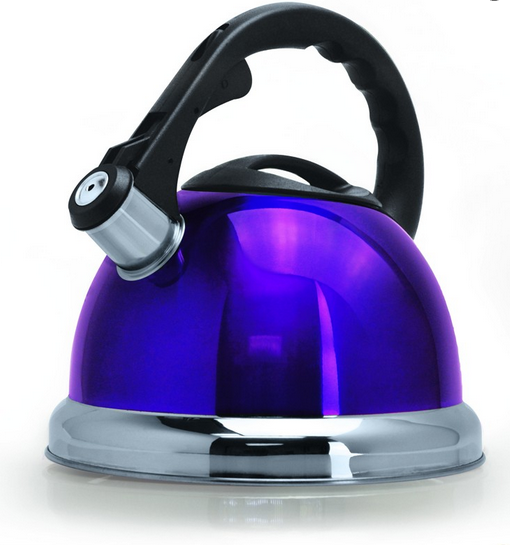 Safe-T Whistling Tea Kettles are available in red, blue, purple, and polished stainless steel, making them a great kitchen accent to suit any decor. Primula's 3t Safe-T Whistling Tea Kettle is beautifully crafted in stainless steel and is designed with an easy to fill removable lid, oversized stay cool handle, and whistling trigger spout. This stylish tea kettle quickly boils enough water for 12 cups of tea! I received the Purple color and I am loving that I can not only boil water easily but it shows off my style too! It is such a fun, bright part of my kitchen now and I love using it and showing it off! Buy It: You can purchase the 3Qt Safe-T Whistling Tea Kettle for $44.99 from the Primula website.